• Menstrual pain with heaviness and tenderness before periods since 1 year. A week before periods she complained severe cramping pains in the right lower abdomen with a feeling of heaviness and tenderness and not allowing even to touch, but deep pressure she feels better. 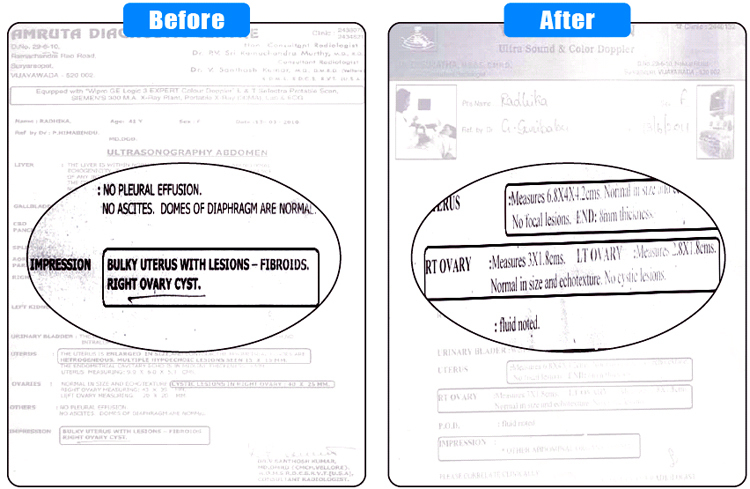 Menses scanty and lasts for 2 – 3 days. All problems start a week before periods since 1 year. Complaining of weakness, sadness in the morning with no desire to attend her routine work; heaviness of the body and breast tenderness and swelling, easily fatigued, irritable, headache (pulsating) etc. All these problems start 1 week before periods since 1½ year. She feels better to greater extent after commencement of periods. • Feel sad in the morning and no desire to attend daily work. • Jealous of her sister’s family progress. • Keeps herself busy in performing pooja, observing fast and reading and viewing T.V on religious matters. • Suspicious of her husband’s relation with housemaid. Attained menarche at the age of 12 years, periods are regular, once in 28 -32 days with 2-3 days flow, scanty discharge. Suffering from pre menstrual stress since 1½ year. Married and has 2 sons, born under caesarean section. Menstrual pain and pre menstrual stress completely reduced; S.L-30 days. Lachesis was selected on the basis of totality and given in single dose. Literature revealed that a single dose is sufficient when indicated. But present case needed repeated dose in higher potency to attain maximum improvement. Literature also revealed that it acts well at the beginning and at the close of menstruation. This is verified in the present case.